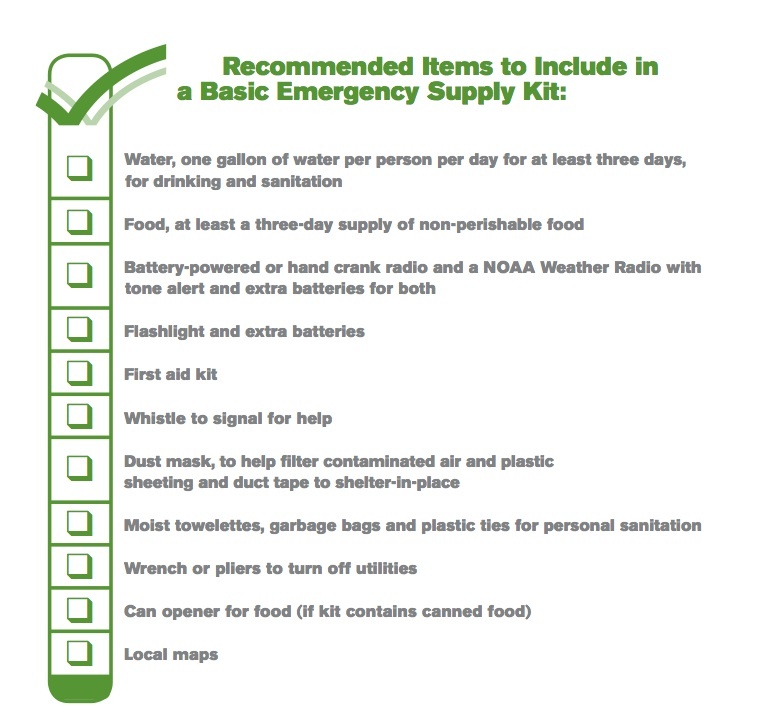 If you are reading just prior to an approaching event, go to this website, the best emergency preparedness guide online. Includes instructions on how to tape windows, evacuation, pet safety and other urgent essential information. Several years ago just before Christmas our area experienced such a damaging snow and windstorm that we were without power for 9 days. Luckily, because we had an emergency kit, we survived the below freezing week without power, stunned with how much we rely on electricity for our survival and amusement. 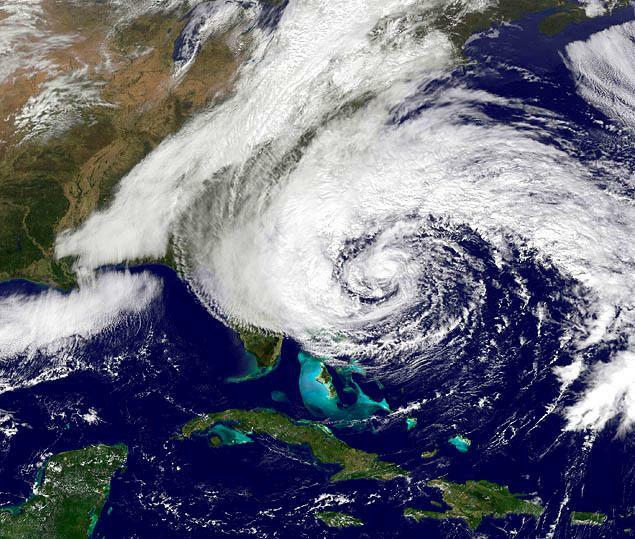 With Hurricane Sandy looming I thought about how prepared were we still? Would we be ready again? I checked the FEMA website for instructions for emergency preparedness and there is essential information (shown in graphics below) but there are also things we learned during the last emergency. in riding out an emergency safely. The two best things we had during the storm was 1.) Our battery operated (and crank style) AM/FM & Weather radio. Throughout the windstorm that ripped part of our roof apart and the ensuing week without power, we were able to stay informed as to where the storm was heading next. 2. ) Plastic and duct tape which we used to seal the windows. With no electricity and just a gas fireplace (with no fan) to heat our home, the temperature inside started dropping dangerously low. Sealing the windows helped keep us warmer. Get a sleeping bag for everyone in your family. During the December storm that left us without power for a week, we were so cold, especially when we slept. Our regular blankets just didn't warm us up. We now have sleeping bags in case of an emergency event during cold weather again. Charge all your essentials (your phone and computers). Get a waterproof case for both. Prepare a plan for your pets. In case of emergency your normally docile pet may become frantic. Buy a carrier for your pets in case you have to evacuate together. Never ever ever ever tie your pet up outside even if he has a doghouse. Have some extra money handy. $50 in five or ten dollar bills. ATM's may be down. If you have power, follow emergency services on Twitter like FEMA. Check to see if your city has a Twitter account. Discuss with your family members where you will meet if you are separated. Purchase extra batteries for your phone. Click here for iPhone batteries on Amazon. 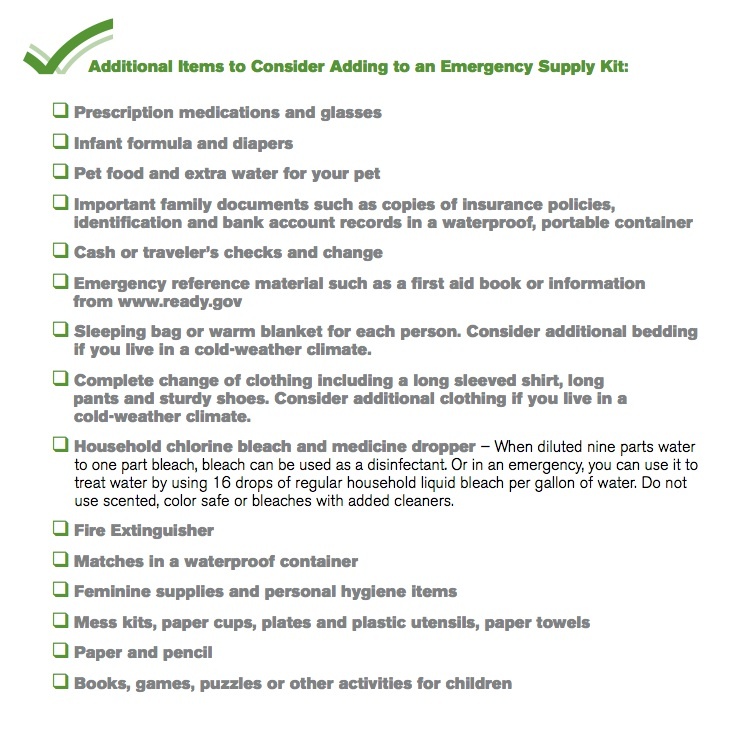 Purchase an emergency kit for your AND your pets. We bought this one from Costco for us and this one for our puppy. Know where they are. We keep our kits (one for us and one for our dog) in the hall closet as well as in the trunks of each car. If you are unable to reach family members directly, sign up at the Red Cross Safe & Well site to alert your family and friends that you are OK.
Read FEMA's Natural Disasters Guide for recommendations on what to do in extreme situations such as earthquakes, floods and extreme cold. If your local government says evacuate, EVACUATE. You may want to stay and protect your property but think of the emergency personnel who may risk their lives rescuing you if your braveness made you too cocky. I'm stunned looking at images of people flocking to the beaches in a hurricane to take pictures as the waves pummel the sand.